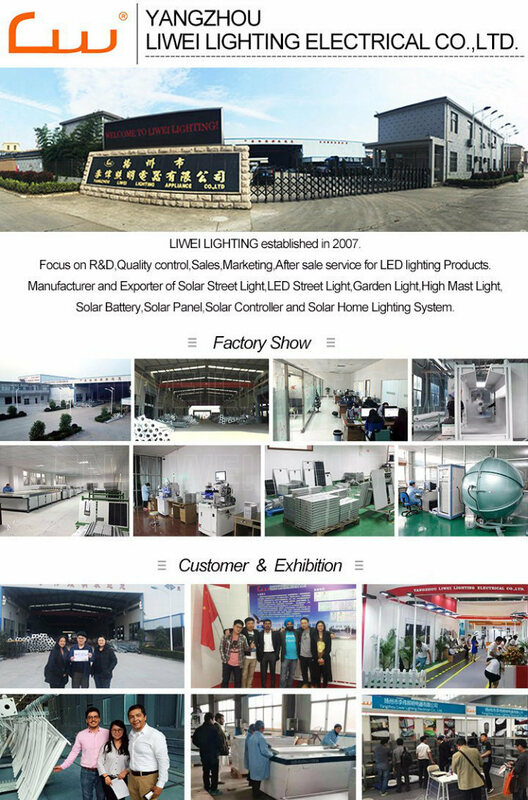 Lifespan:20-25Â years 80W*2PCsÂ forÂ 24V Lighting,17%Â HighÂ Efficiency. Â AddingÂ AluminumÂ Frame,TemperedÂ Glass. Lifespan:5-10Â years 10A/24V*1PCs,AutomaticÂ LightÂ andÂ TimeÂ Control. Lifespan:Â MoreÂ thanÂ 20Â years 8MÂ Height,Steel,Hot-DipÂ Galvanized. A:Â WeÂ areÂ aÂ factory. OEM or print your logo is welcomed. Q2:Can I have a sample order & what is your MOQ? A:Â Yes, we welcome sample order to test and check quality. Mixed samples are acceptable.Low MOQ, 1pc for sample checking is available. Q3:Â How do you ship the goods and how long does it take to arrive? 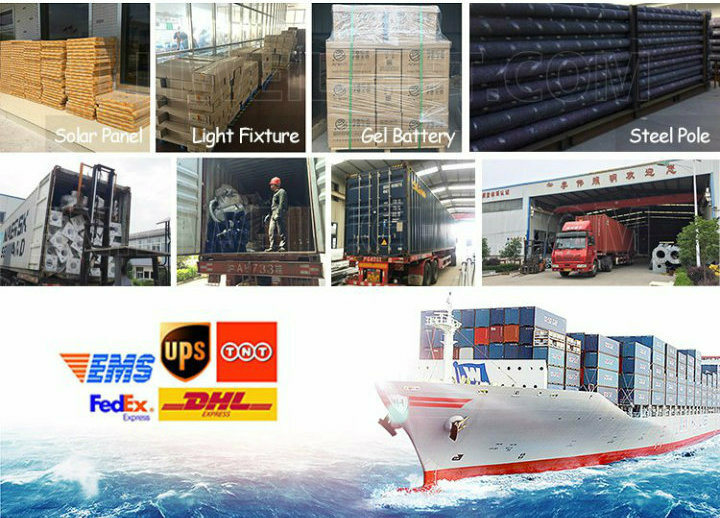 A:Â We usually shipÂ sampleÂ by DHL, UPS, FedEx or TNT. It usually takes 3-5 days to arrive. Airline and sea shipping also optional. 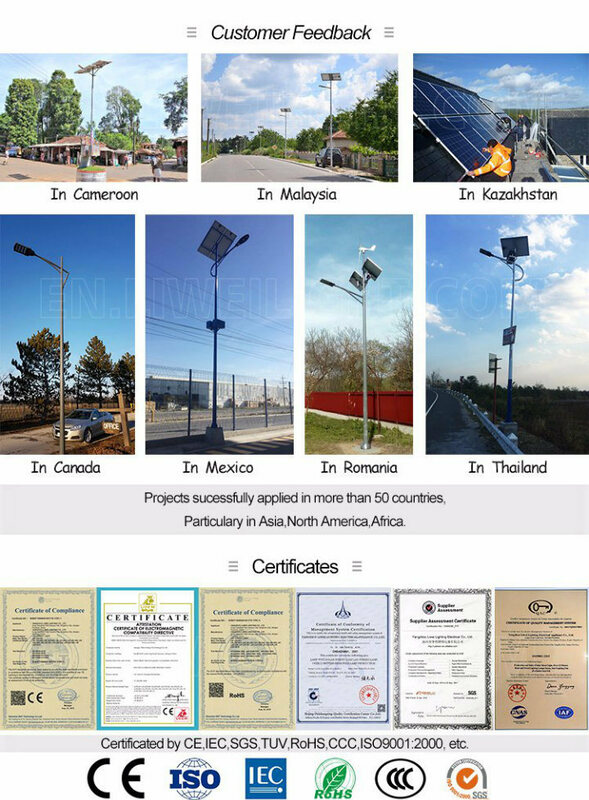 Q4: Do you offer guarantee for theÂ solar street light? A:Â Yes, we offerÂ 3Â years warranty to our products.